Inform UK academic community about ComProt and raise awareness. Disseminate results and pipelines using a workshop held at Sheffield and add an MP stream to ComMet website hosted by Warwick. WP1. Improve the ComMet web site and add details about MPs and MEPs with details about methods and existing publications with statement of aims and objective of ComProt and advertise workshop scheduled for May 2019. WP3. Approaches to collection of metagenomes and detailed pipeline approaches to conduct assembly-based MGs and assembly of MAGs. WP4. Following detailed comparative analysis of MPs and MEPs use ComMet to upload results and provide a review paper to disseminate results and methods as widely as possible. WP6. 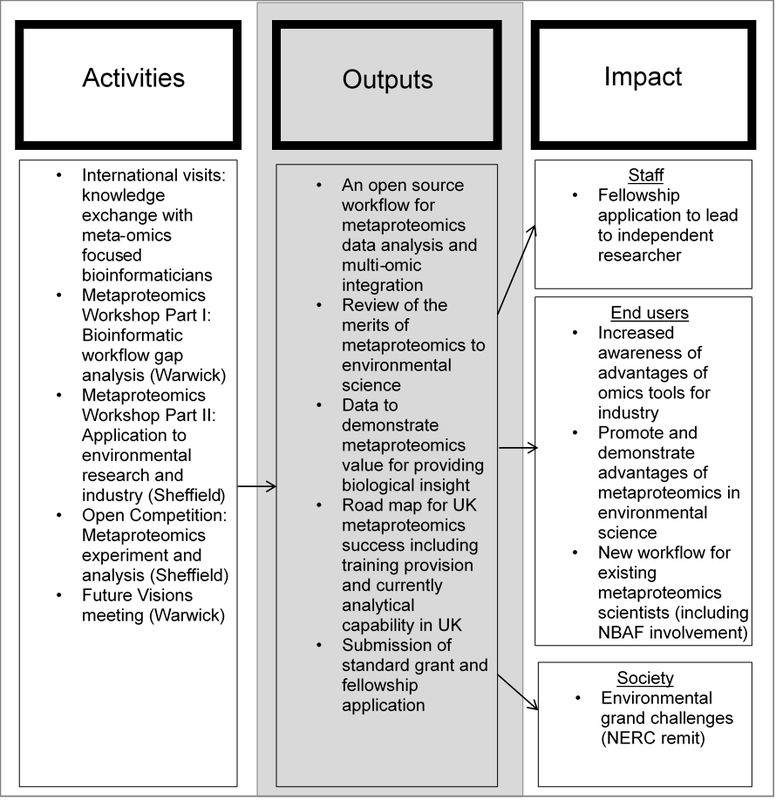 An open competition to perform metaproteomics on test environmental samples.